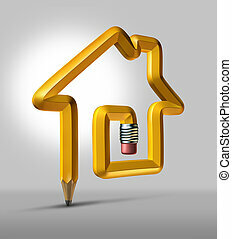 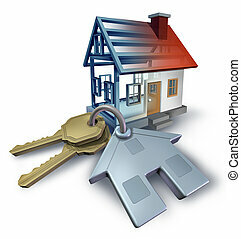 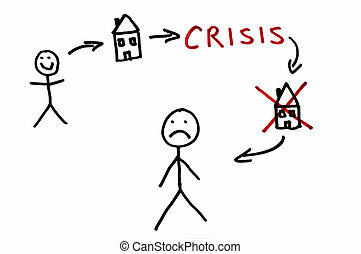 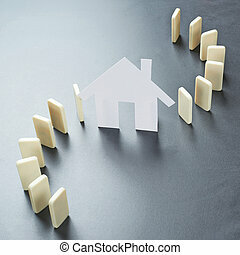 Real estate and crisis conception illustration over white. 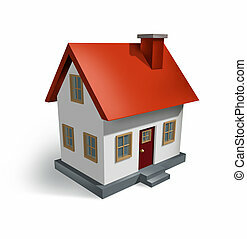 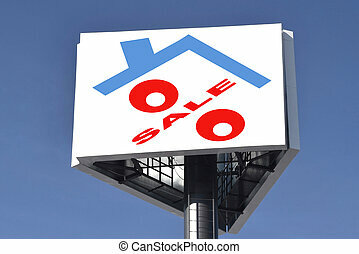 Real Estate and the housing industry for real estate homes for sale as a symbol of the residential house and home market as well as the construction economy as shown by a single biulding structure on white. 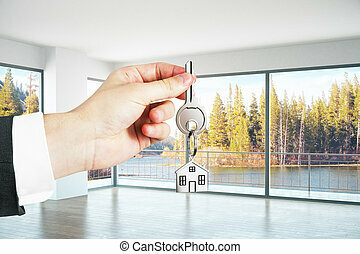 Real estate planning and building a home from blue print plans with house keys and a three dimensional residential structure on a white background. 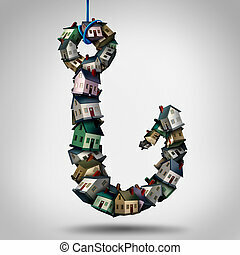 Real estate risk and home buying danger as a group of residential homes shaped as a fishing hook as a house lure as a 3D illustration. 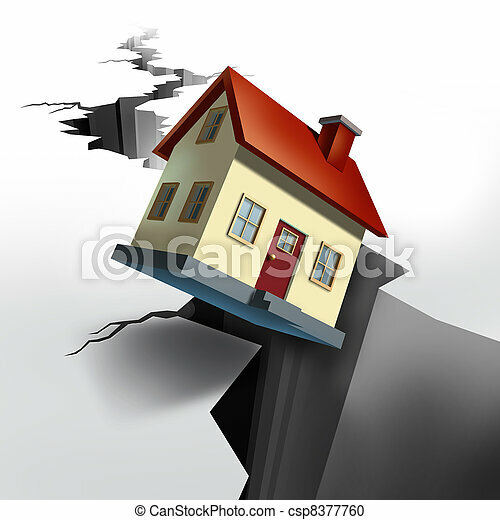 Real estate manager and house flipping and management concept as a person juggling three homes as a residence manager or property agent managing a business challenge for profit. 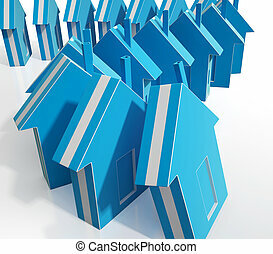 Real estate industry as home customers or house agents riding a challenging wave of family homes as a residential insurance or sale and purchase business concept with 3D illustration elements. 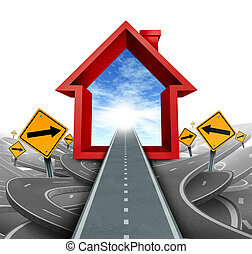 Real estate planning and interior design with a pencil shaped as home for house construction and a residential renovation concept or signing a mortgage for a family dream place. 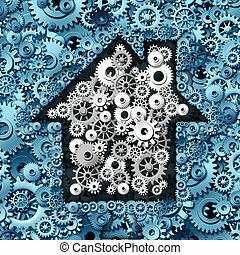 Real estate business concept as house or home automation made of gears and cog wheels as a symbol for investing in residential construction ideas and mortgage financing or a smart home symbol. 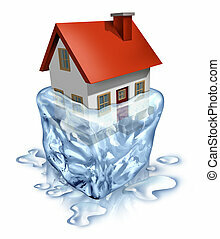 Real estate recovery symbol with a house in melting ice as a housing concept of improving home buyers and sellers economy with debt relief and a better economy and low mortgage interest rates. 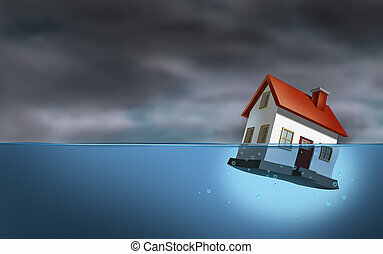 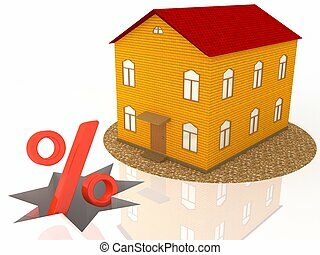 Real estate crisis and housing trouble with a sinking home in the water as a dangerous dark stormy cloud background as home builder concept of the challenges of house ownership and the business of mortgage rates. 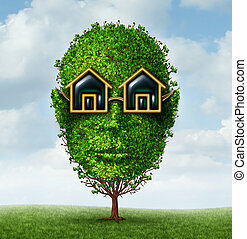 Real estate planning concept as a green tree shaped as a human head with eye glasses in the shape of a home or house as a symbol of visionary investment strayegy for a growing new residential construction project. 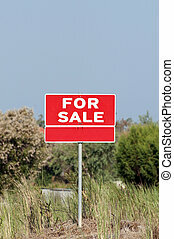 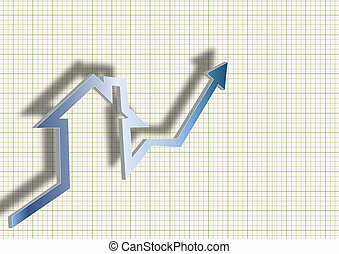 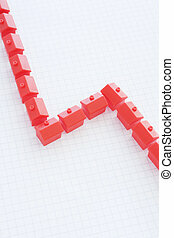 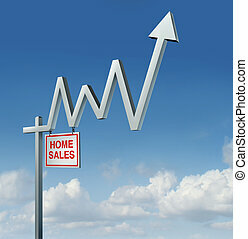 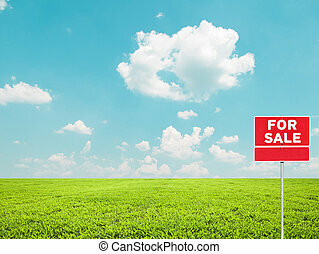 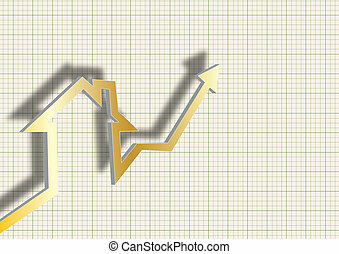 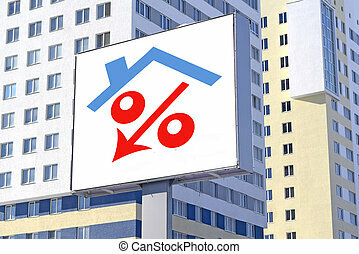 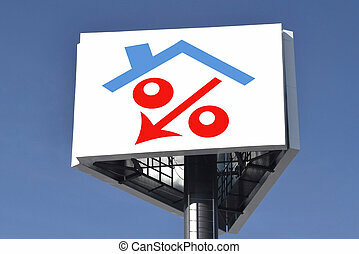 Real estate recovery and rising housing industry concept with a commercial home for sale sign in the shape of a stock market financial chart graph with an upward arrow on a sky background as a metaphor for the construction comeback. 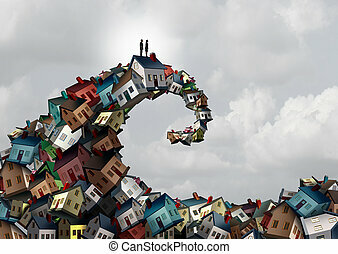 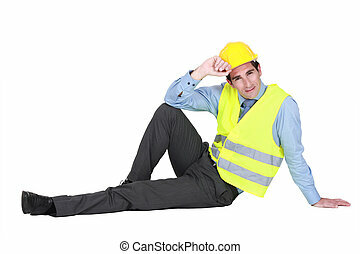 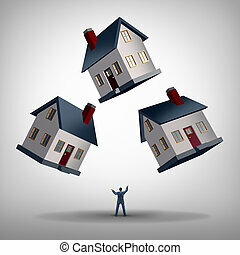 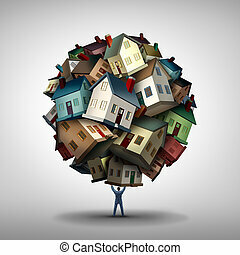 Real estate agent or realtor concept as a power seller sales person lifting a group of residential homes as a housing market and property industry metaphor with 3D illustration elements. 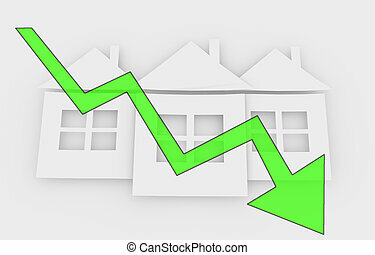 Real estate market increase in home sales and improvement of the housing and construction industries as a symbol of growth in the economy and residential home builders contracts as houses increasing in size. 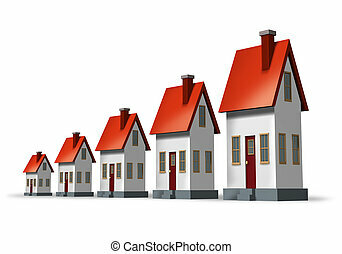 Real estate design element and residential community circle arc neighborhood with homes and houses lined up in a semi circular blank frame shape representing a close knit street in a housing project on a white background.